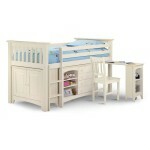 We understand when buying bedroom furniture you want it to be just right. The bedroom is the most personal room in the home and deserves to display the character and style of the owner. With this in mind we offer an extensive range of beds with many different styles and designs available, take your time to find the perfect one. 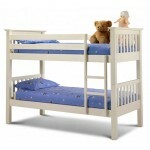 We offer anything from oak truckle beds, bunk beds right up to double, king size and four poster beds. 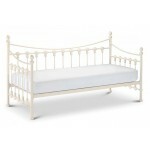 Some of the styles range from the a solid oak bed to French carved painted beds and hugely popular white painted beds to name a few. 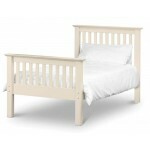 Every bed has other bedroom furniture to match to give your bedroom the complete makeover. 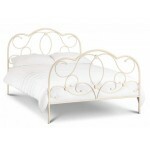 The bed is the central piece of a bedroom and for this reason you should choose it carefully. 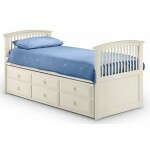 Fortunately, at Dooley’s you will find a wide range of styles that can enrich the appearance of any kind of bedroom. Whether you are looking for a beautiful bed for your master bedroom or you need a charming bed for the room of your child, you can easily find the one you desire at Dooley’s. At Dooley’s, we are completely aware of the fact that quality is important for our customers, so we take pride in only offering high-quality pieces that will pass the test of time. 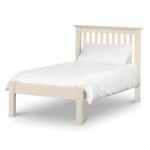 Just have a look at the wide selection of beds we offer and you are very likely to be amazed at the high level of quality we provide. Shopping in our online store is a hassle-free experience, as we offer an excellent customer service to all our customers.